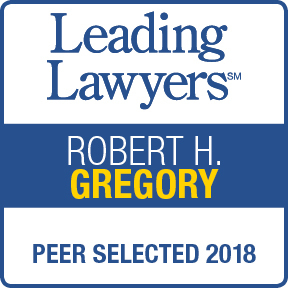 Bob Gregory selected by his peers as a Leading Lawyer - The Law Office of Robert H. Gregory, P.C. Congratulations to Bob for being selected by his peers as a Leading Lawyer in Nursing Home Neglect and Abuse for the 5th year in a row, the only sole practitioner to achieve this honor! Bob, your hard work and dedication on behalf of all of our clients is appreciated!